Medicare supplement Plan A provides the most basic coverage out of the 10 Medigap plans available. If you’re looking for an affordable Medigap plan that helps pay Medicare Part A and Part B coinsurance, Plan A may be the best plan for you. 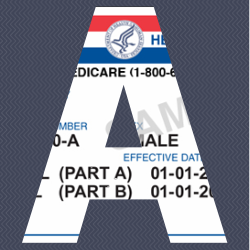 This is a brief outline of what Medicare supplement Plan A does and doesn’t cover. Refer to the Medicare supplemental plans comparison chart for what Plan A does and doesn’t cover. Plan A is one of the most affordable plans because it provides the least amount of benefits. If you’re comparing costs between the comprehensive Plan F and the basic Plan A, you will find quite the difference in prices. You have reviewed the benefits of coverage that Plan A provides and now you’re ready to enroll into the “A” plan. Plan A is standardized, which means that every company who sells Plan A must have the exact same benefits. The biggest difference between insurance companies who offer Plan A is the costs. This doesn’t mean that you need to call every insurance company who offers the plan, that’s too time consuming…but smart. We recommend giving us a call and we will get you a print-out of quotes from almost every major insurance company who offers Plan A in your area. The best Plan A rates will be listed first and the highest priced company is listed last. Face-to-face appointment with a Medicare supplement insurance specialist. All of our services are free of charge. If you’re already are enrolled in Medicare supplement Plan A, it’s not too late to start comparing rates from multiple companies who offer the plan in your area and start saving money.